From 8 June to 25 November 2018, Japan Museum SieboldHuis will display new works by Charlotte Dumas in the exhibition 'The Horse in the Gourd'. The film and photos tell the story of 12-year-old Yuzu and her horse Urara. Together with 5 main objects they form the leitmotif of this exhibition. The horse in Dumas' photographs is of a rare breed that is threatened with extinction. Through Yuzu's eyes we see the horse, her surroundings and the elements that at times plague then pamper nature. The circle of life in all its fragility and salvation, water and wind are the elements that exemplify this presentation while enchantment and mastery are at the heart. In addition to the five main objects, Dumas has selected Japanese prints, historic photos and drawings from private and public collections and combined them with work of her own for this exhibition. 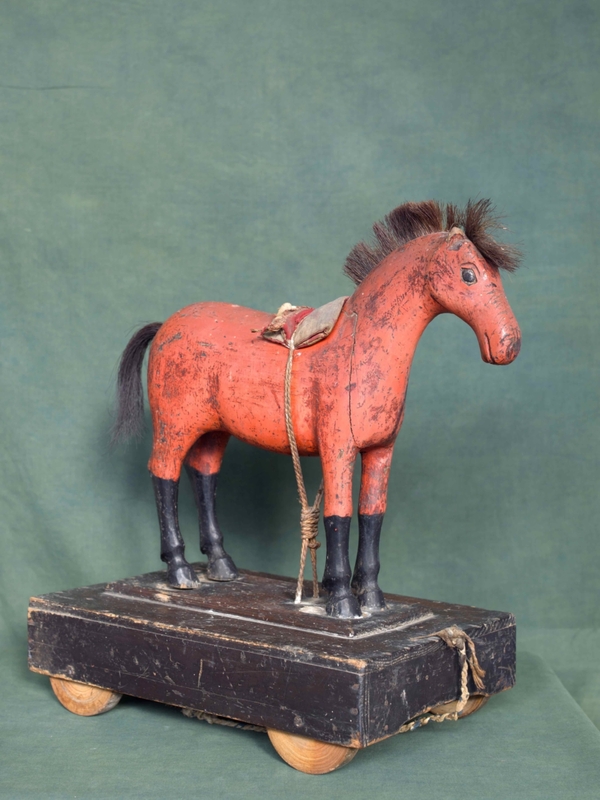 In Japanese there is a saying hyōtan kara koma, ‘a horse appearing from a gourd’. It is used when something completely unexpected, even unbelievable, happens. It refers to the legend of Chokara Sennin, an immortal being who owned a horse that when necessary, could be conjured up from his gourd as if by magic. This expression reminds us that in life the unexpected can happen. Nature is as nature befits, fickle and unpredictable. To Charlotte Dumas this is an important principle. Dumas has compiled an exhibition that centers on the basic elements of life, its vulnerability and resilience. Using five central objects she brings myth, imagination and the transient nature of life together. 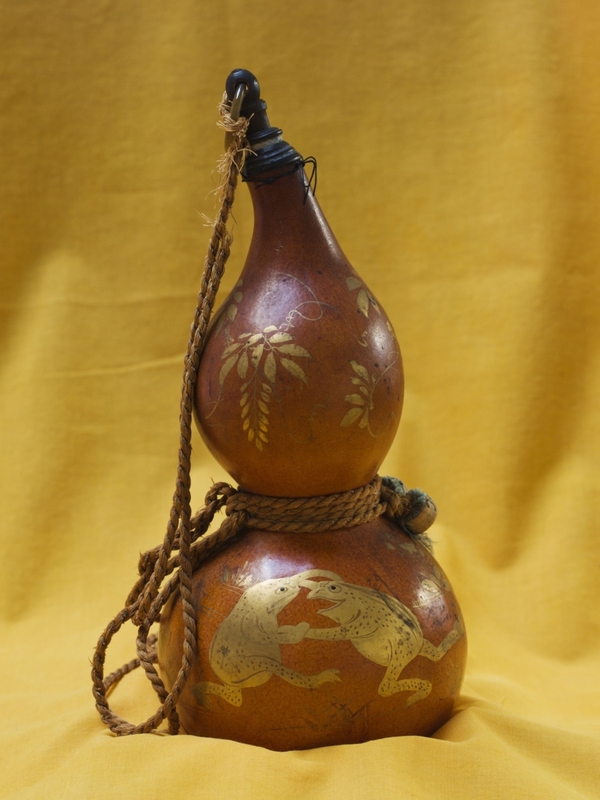 We see the gourd (hyōtan) used as a canteen - which refers to a Japanese proverb, and also a bezoar - a stomach stone of a horse that is said to have super natural powers and a wooden rocking horse, a symbol of good luck given at the birth of a son. The 4th object is a belly sash especially designed for the horse Urara to protect the most vulnerable part of the body. The 5th and last object is the gold-plated statue of a horse, found in a temple this figure plays an important role in the afterlife. These objects make the past tangible and are instinctively united with each other. They are further supported with the help of historic works, photos and Japanese prints from a wide variety of collections, as well as her own photographic works and a new film 'Shio, 潮, tij, tide' made in Okinawa. That premiers at this exhibition. In the Horse in the Gourd' Dumas gives her personal interpretation of the objects and their meaning and gives the viewer ample food for thought on the interaction between man and nature. ‘The Horse in the Gourd’, a richly illustrated publication by guest curator and artist Charlotte will be on sale for €37,50 in the museum shop. Various activities, lectures and guided tours will accompany this exhibition. For more information and programme details please visit our site: www.sieboldhuis.org.